Used-car giant CarMax posted a 58 percent jump in net income in its fiscal fourth quarter, ended Feb. 28, 2019, even as store traffic declined, February tax refunds were delayed and the cost of acquiring inventory rose, the retailer said. Revenue and retail units sold also rose. Gross profit increased 12 percent to $599.4 million and revenue rose 5.7 percent to $4.32 billion. Despite reduced floor traffic, CarMax reported a 5.6 percent increase in the total number of used vehicles sold, to 180,207 units. Same-store used-vehicle sales were up 2.8 percent in the fourth quarter, the company said Friday. Two issues dragged on the quarter's net earnings. Tax law changes reduced net earnings by $11.9 million, CarMax said, the result of a $32.7 million tax reduction offset by a $20.8 million tax benefit. A one-time $8 million discretionary bonus that was "paid to eligible associates," also reduced net earnings. 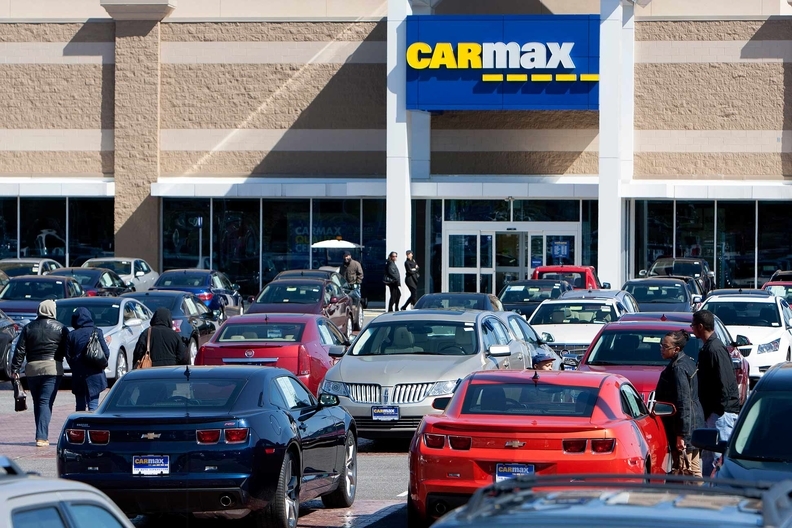 "We're pleased to report double-digit growth in pretax earnings this quarter, even excluding the prior period's discretionary bonus," CarMax CEO Bill Nash said in a statement Friday. In a Friday conference call with analysts, Nash also said the company is encouraged with early results from what it call its "full omnichannel experience", which the company is testing in three markets, including Atlanta. Omnichannel is a program to provide consumers a seamless buying experience as they move from computer to mobile device to showroom shopping. The model uses online pricing estimates and appraisals for customers, vehicle home deliveries and expedited pickups at stores. Nash said that while omnichannel sales in Atlanta have been less profitable per unit than traditional sales, the company expects improvements. "After seeing the results in Atlanta, we are more confident that this is the right direction," Nash said. "We think this new initiative could be more efficient than our current model." Nash added that the company was also encouraged by the high take rate for home delivery sales, though home delivery still represents a very small percentage of overall sales. During the fourth quarter, CarMax opened five stores. Three of them — in Buffalo, N.Y., Montgomery, Ala., and New Orleans — represented new markets for the chain. Two others in Orlando and Portland, Ore., are existing market expansions. Net income for the full fiscal year increased 27 percent to $842.4 million, and revenue increased 6.1 percent to $18.17 billion. Total used-vehicle unit sales grew 3.8 percent — or 27,449 units — to a total of 748,961 units. Gross profit rose 6.5 percent to $2.48 billion. CarMax opened 15 stores during the fiscal year to reach a total of 203 stores as of Feb. 28. The company plans to open 13 more by Feb. 1, 2020, entering six new markets and expanding in seven existing markets. Six of the planned store openings will be in "small markets" with populations of 600,000 or fewer, according to CarMax. CarMax tops Automotive News' list of the top 100 dealership groups based in the U.S. ranked by used-vehicle retail sales, with 671,294 sales in 2017.